Are You Looking for a New Car Dealer in Oakville? Visit Budds’ BMW Today! If you live in the Oakville and surrounding area and are looking for a new car dealer, visit our Budds’ BMW dealership in Oakville today. Whether you’re looking for an SUV, coupe, sedan, pickup truck, or sports car, we’ve got you covered. Budds’ BMW has been proudly serving the community of Oakville since 1973, and we have thousands of happy clients who we’ve built lasting relationships with. 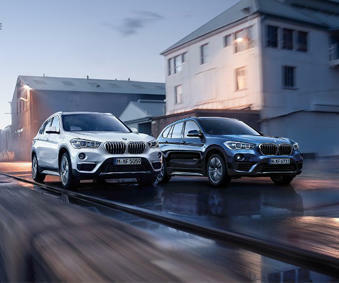 Become a part of the Budds’ BMW community and connect with our team today. If you’re looking for a new car dealer in Oakville that deals with high performance vehicles, Budds’ BMW should be your first choice. BMW is a world renowned and reliable brand and we’ve been providing Oakville residents with premium BMW vehicles for years. Since we provide some of the leading high performance vehicles in the industry, the sky is the limit when it comes to customizing your luxury vehicle. Whether you’re interested in customizing a vehicle from the 3 Series, or you’re more interested in our X Series, or anything in between, if a brand new BMW vehicle is in your budget, the upgrades you can make to your automobile are endless. From choosing the body exterior to lighting to suspension and handling, the choice is yours to make when designing your dream car at Budds’ BMW in Oakville. Be sure to look at our safety and available security features as well. We place high value on keeping our clients safe, so if you have any questions regarding our premium safety packages don’t hesitate to ask us. As a leading new car dealer in the Oakville community, we understand how to make customizing your dream vehicle enjoyable, stress-free, and exciting. To gain a better understanding of your own vision and what you desire in terms of your dream car, begin your BMW journey with using our online customization features. Simply select the Build & Price option in our New Vehicles drop-down menu, and you’ll be well on your way to knowing which model, make, and style best suit your individual style and needs. Of course, once you design your dream vehicle, be sure to book an appointment with one of our knowledgeable Budds’ BMW sales representatives, and we can help you turn your vision into a reality. We are a new car dealer that understands how exceed your expectations, and we’ve been proudly serving Oakville and the GTA since 1973. Book an appointment online or call our Oakville Budds’ BMW dealership to test drive any of our premium BMW vehicles today.